Sometimes all you crave is a simple classic steak, without any nuances. 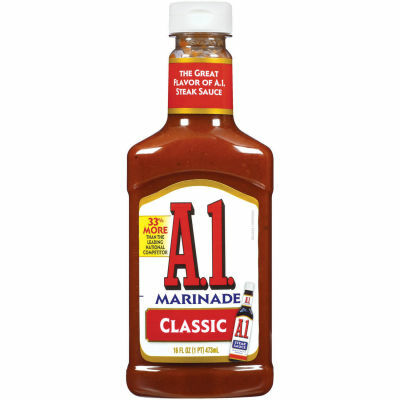 When you want your steak to taste like the good old steak you used to savor in your childhood, pick A.1. Classic Marinade to treat your meat before grilling it.The sweet and tart tomato puree and vinegar flavors seep into your steak and bring out the taste hidden deep within the meat. The orange puree and raisin juice enhance your steaks flavors in a way you will love!